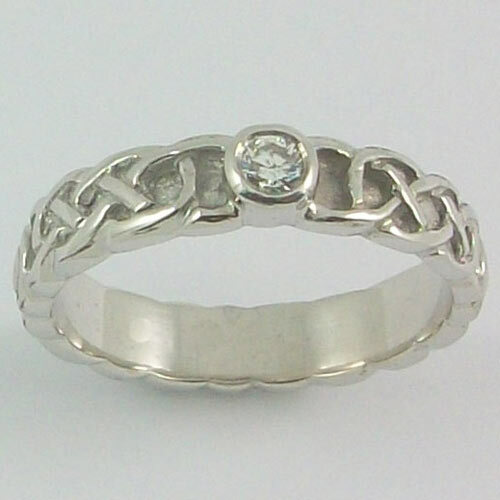 Stunning Celtic Ring, white 9ct with 3mm diamond setting. This ring is 4mm wide. Each ring is made in our own workshop in the Outer Hebrides an exclusive design available from our shops. Designed by Hebridean Jewellery 2014 the ring is hallmarked at the Edinburgh Assay Office.